The world of the paranormal is a strange and unusual place, with scientists trying to disprove and explain many paranormal events. Some you can believe and some seem outrageous. 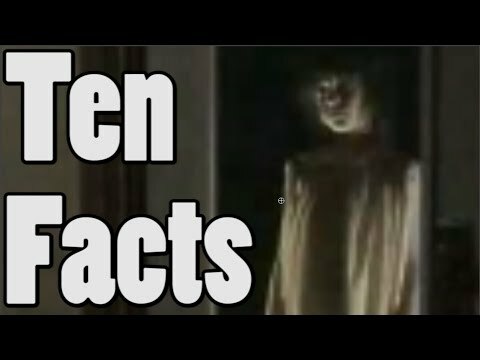 Here is a collection of 10 amazing paranormal facts that are pretty hard to explain. You decide if you believe or not! 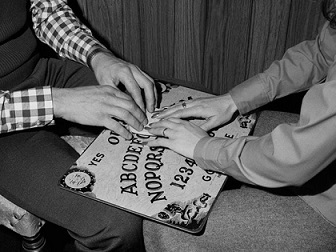 The modern Ouija Board was introduced as a parlour game in 1890 and got its name by asking the board what it should be called. When the board was asked what Ouija meant, it spelled out "Good Luck"
At numerous haunted locations, a low-frequency sound has been detected that can cause fear and panic in humans. In 1998, Vic Tandy, experimental officer and part-time lecturer in the school of international studies and law at Coventry University, and Dr. Tony Lawrence of the psychology department wrote a paper called "Ghosts in the Machine" for the Journal of the Society for Psychical Research. 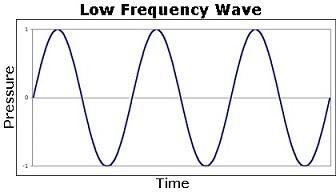 Their research suggested that an infrasonic signal of 19 Hz might be responsible for some ghost sightings. Tandy was working late one night alone in a supposedly haunted laboratory at Warwick, when he felt very anxious and could detect a grey blob out of the corner of his eye. When Tandy turned to face the grey blob, there was nothing. The following day, Tandy was working on his fencing foil, with the handle held in a vice. Although there was nothing touching it, the blade started to vibrate wildly. Further investigation led Tandy to discover that the extractor fan in the lab was emitting a frequency of 18.98 Hz, very close to the resonant frequency of the eye given as 18 Hz by NASA. This was why Tandy conjectured that he had seen a ghostly figure— he believed that it was an optical illusion caused by his eyeballs resonating. The room was exactly half a wavelength in length, and the desk was in the centre, thus causing a standing wave which caused the vibration of the foil. Most ghostly disturbances are actually residual hauntings. These are events that play themselves out over and over again, often without the spirit having any control over it whatsoever. Also known as the Stone Tape theory which is speculated that ghosts and hauntings are analogous to tape recordings and that electrical mental impressions released during emotional or traumatic events can somehow be "stored" in moist rocks and other items and "replayed" under certain conditions. 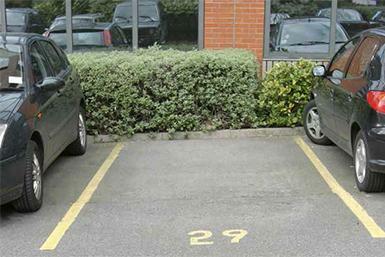 In 1975 Mrs Dilys Cant failed repeatedly to reverse her car into a vacant parking space in a car park in Durham. It felt as if she was hitting a kerb, although nothing was visible. Her daughter and two other motorists were also unable to enter the space, which seemed to be protected by an invisible force field. 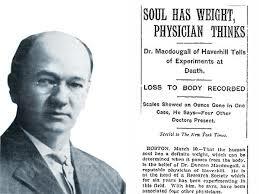 In 1901 a doctor named Duncan MacDougall tried to prove the existence of the human soul. To do this he measured the weight of terminally ill patients before and at the moment of their death. He had 6 patients, who all experienced weight loss at the moment of death, with the average loss of weight being 21 grams. There is an island near Italy that was the site of wars, a dumping ground for plague victims and an insane asylum. 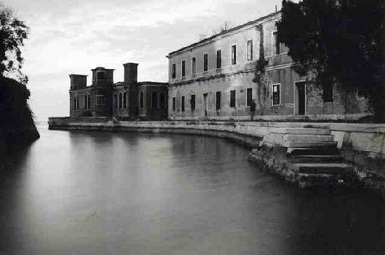 Poveglia Island is considered so dangerously haunted that the Italian government does not allow public access. However, Italy have now sold the Island to a business man on a lease of 99 years, the businessman wants to open it up to visitors. However, none of the estimated £16 million restoration has been started yet. In 1996 Brian Bethel was making his way to his office in Alibene Texas. In the dimly lit area before the theatres, he was seated in his car in the parking lot, when young boys knocking on his window. The boys were approximately ten years old and as he described them as ?a somewhat suave, olive-skinned, curly-headed young man? and ?a redheaded, pale-skinned, freckled young man?. The boys wore hooded pullovers. The first boy explained that the two of them had come to watch a premier of ?Mortal Kombat? at the theatre, but had forgotten their money in their mother?s house. They, therefore, requested a ride to their mother?s house to fetch their money and get back to the theatre. All the while as conversation ensued, Bethel was consumed by an irrational fear. The boy tried to convince him with assurances like: ?It wouldn?t take long, they were just two little kids, they didn?t have a gun or anything.? Bethel subconsciously reached out to open his car door, when he suddenly broke his vision of the boy, and came to notice his coal-black eyes, eyes he described as ?Soulless orbs like two great swathes of starless night.? Trying to keep his behaviour normal, bethel muttered a few excuses, pulled at the gear, and rushed away with his car. As he stared at the rear-view mirror, he found that the children had just vanished, within seconds. On December 11, 2002, two motorists called police to report seeing a car veering off the road and crashing on the A3 near Burpham, Surrey. When the Police arrived at the scene to search for the wreckage they were unable to find any trace of a crash. That was until an officer stumbled upon a maroon Vauxhall Astra nose down in a ditch, covered in undergrowth. There was one alarmingly irregular detail though, the car had not crashed recently. In fact it had laid undiscovered for five months, confirmed by the discovery of the decomposed body of the vehicles driver. It was suggested in the national press that the sighting of the car leaving the road just the night before could only have been a ghostly replay of the fatal crash earlier in the year. 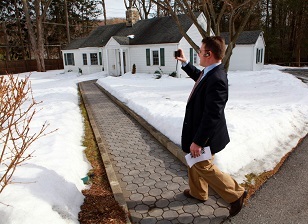 Most U.S. states require sellers to fill out a standard form disclosing what they know about the property's condition and list any potential physical defects. This is a relatively recent reverse of the older “buyer beware” norm in real estate and lets buyers know ahead of time of any major problems with their dream home. There are other defects besides faulty wiring and sinking foundations, though. Some states go a step further and require sellers to also disclose “emotional defects” that could impact and stigmatize a property. This includes traumatic events like murders and suicides, reported paranormal activity and even proximity to homeless shelters. Whether you have to disclose anything and what types of defects you have to disclose all depends on the jurisdiction. If a seller does have to disclose emotional defects, which ones and how much detail they need to go into again varies among locations. In December of 2010, a nature photographer checked on a trail camera he'd set up to film wild animals in a reserve in Morgan City, Louisiana. The camera was smashed, but its memory card survived. When the photographer uploaded the camera's final images he was shocked at what he found. 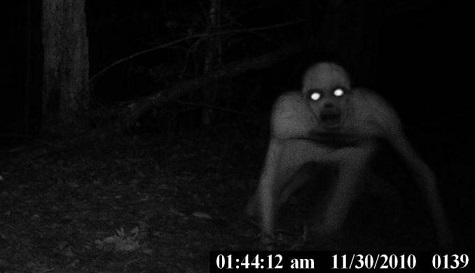 Instead of a wild animal, his camera caught the image of a ghostly, near-transparent humanoid figure.